Floating dreamlike off the southern California coast, the eight Channel Islands run the gamut from rocky islet to, in effect, mini-continents. 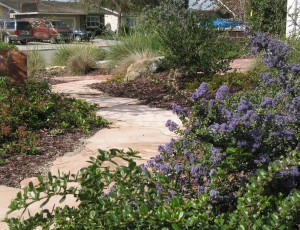 Surrounded by a moderating ocean, they host a wide variety of plants found nowhere else, ranging from ancient oaks and pines to unique ironwoods, striking chaparral shrubs, and giant herbaceous perennials. Although feral animals have done untold damage to these fragile floras, removal efforts have led to a surprising rebound of the native vegetation. Though Santa Catalina Island is famed for its easy access, glass bottom boat tours, and welcoming accommodations, it is Santa Cruz Island, 20 miles off the Santa Barbara coast, that best exemplifies the Channel Islands’ biological uniqueness, with a broad array of handsome endemics. Santa Cruz Island has its own central valley and two mountain ranges, with Picacho Diablo rising to 2300 feet in elevation. The plants and animals that have made the trip across the water have evolved and adapted in their own ways, resulting in unique communities. Newly evolved species join company with relicts that long since died out on the mainland, but there are also many species that occur both on the mainland and in the islands. Juxtapositions of pine forests, ironwood groves, coastal sage scrub, and chaparral create complex mosaics that reflect the mild year-round conditions of a class Mediterranean climate region. 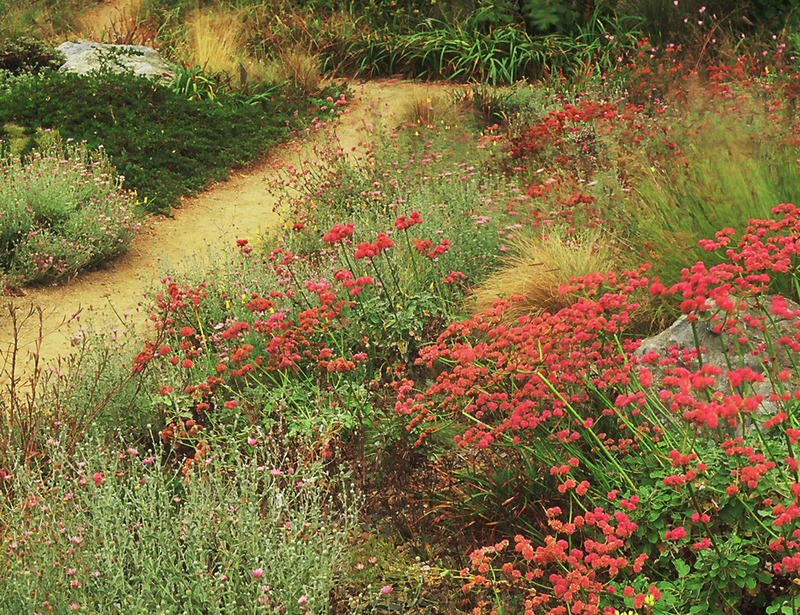 If you live in the mild climates along our coast – especially in southern California – a garden design incorporating a mix of island elements is both appropriate and beautiful, evoking a place of remote and singular flavor. By mixing the components of a rock outcrop or a stony wash with a copse of trees, say, you can grow a diversity of beautiful island plants from different environmental niches. Pay attention, however, to which plants require shade and which full sun. As with most designs, good drainage is essential, but it is particularly critical for plants that favor rock scree and dry washes. 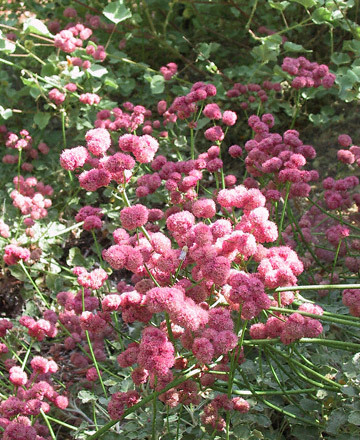 Examples include the Santa Cruz Island buckwheat (Eriogonum arborescens) and scale-broom (Lepido-spartum squamatum). Many island plants are winter cold-tender, although many re-sprout from roots when frosts don’t last too long. 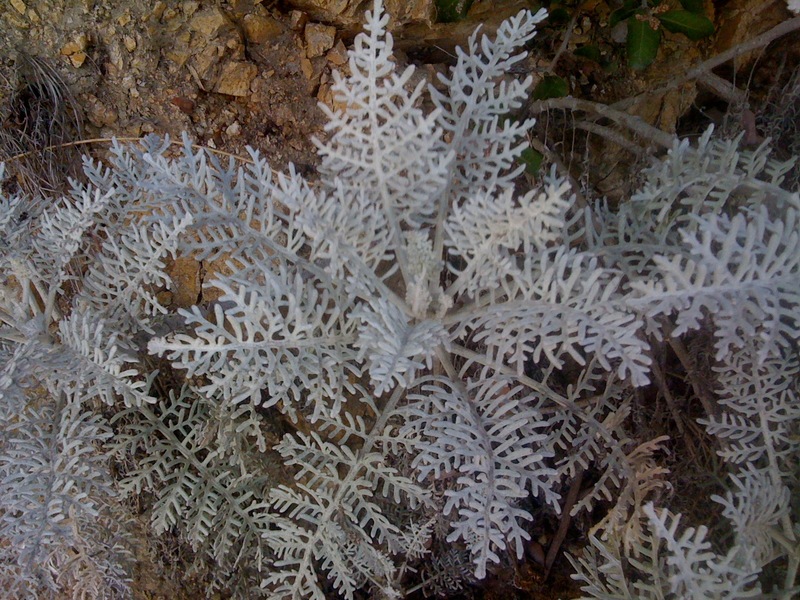 Basal clusters of grayish, spoon-shaped leaves form clumps to two feet across and 12 inches high. Long succession of pale pink to ruby red flowers on naked stalks to two feet high in summer and early fall. Multi-branched shrub to eight feet tall that suckers, with ovate, bluish green evergreen leaves. 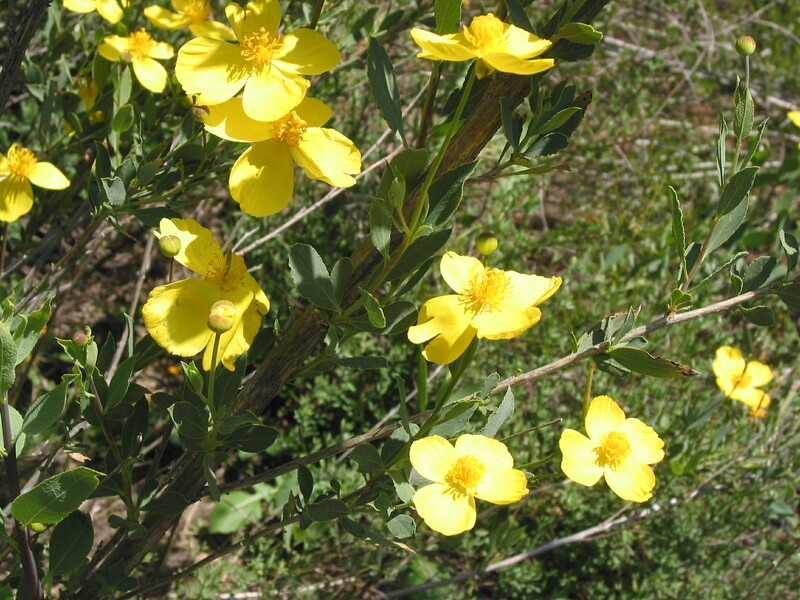 A long succession of three-inch-broad yellow poppy flowers, peaking in spring. Semi-evergreen shrub to four feet tall. 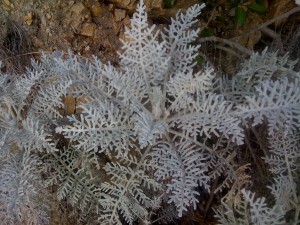 Beautifully cut, grey, fernlike leaves. Flat-topped clusters of small yellow daisy-like flowers in late spring and early summer. Full sun to light shade, cold tender.